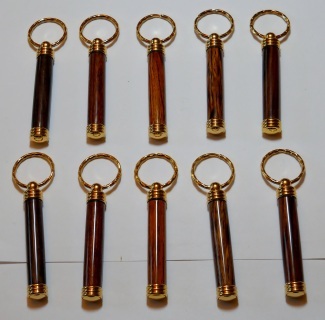 Secret compartment key chains. 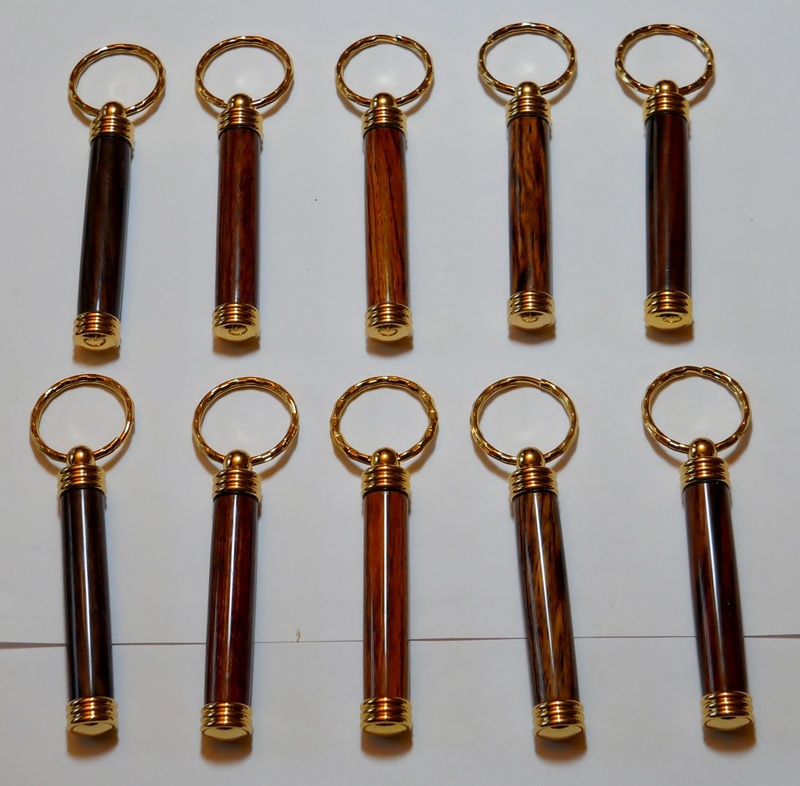 l-r in each row- rosewood of uncertain origin, bubinga, 3 different hues of Nicaraguan cocobolo. These can hold a rolled up piece of US currency, but it's trickier than it looks. Good as a gift, or a stocking stuffer, or the Inspector Gadget on your list.